drills half an inch deep. Floriferous Sage is, as a rule, shorter lived than the non-ﬂoriferous kind. 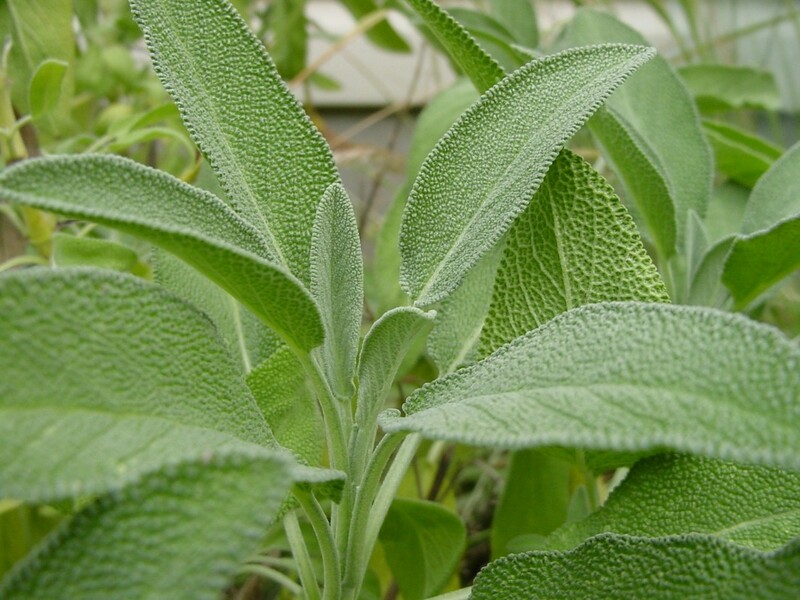 Sage is, first and foremost, very tasty and makes a delightful, useful addition to any garden. Sage has been used in meat dishes for centuries, and we now know that sage break down the fats in meat, making the food more flavoursome and easy to digest. Sage has been used throughout the ages for medical and magical purposes. The Latin name, Salvia, literally means ‘to save’, as in to save one’s life. Sage has incredibly antibacterial properties.